The Southwest Montana Farm & Ranch Brokers will be holding its 20th annual January market update meeting and luncheon with a panel of four Accredited Rural Appraisers and other valuation experts reporting on 2018 land values and future trends for the rural Montana land market. For the past 19 years, Clark Wheeler from Norman C Wheeler & Associates has presented the annual report and discussion of rural land values and trends at the January meeting. Starting in 2018 he invited other local appraisers and valuation experts to participate, including Andrew Rahn from Montana Land Source. The meeting is always highly attended, as it is the best opportunity of the year to learn in depth about rural Montana land values and trends. Andy is looking forward to presenting some new, never before seen data from Montana Land Source. The meeting will be held January 9, 2019 at noon at the Hilton Garden Inn in Bozeman, Montana. 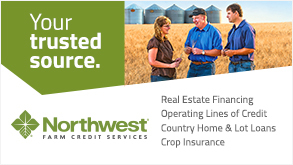 Northwest Farm Credit Services is sponsoring the lunch.